Despite being born in different parts of the country–Larry in Kansas City, MO and Sheila hailed from upstate New York–their families had been connected for years. Sheila’s father worked with Larry’s uncle in the same dental practice. However, they didn’t officially meet until 1955 in Troy, NY when Larry had just returned from spending the summer as an extern at Tel HaShomer Hospital in Israel. They were married two years later in 1957, just two days after Larry graduated from medical school. The young couple moved to Baltimore for Larry’s residency at Johns Hopkins Hospital. Baila, their first child, was born on their first wedding anniversary and Annette was born on their second anniversary. The family of four moved to the Philippines for Larry to serve in the United States Air Force where they welcomed their son, Louis. The family returned to Baltimore for Larry to do a fellowship in Child and Adolescent Psychiatry at Johns Hopkins. He then did a second fellowship at what is now the Kennedy Krieger Institute. Their fourth child, Dale, was born in Baltimore and completed their family. Sheila and Larry raised their four children in Baltimore and each created families of their own giving them eight beautiful grandchildren. Dale and Annette live in Florida, Baila is in Virginia Beach, and Louis lives in Timonium. 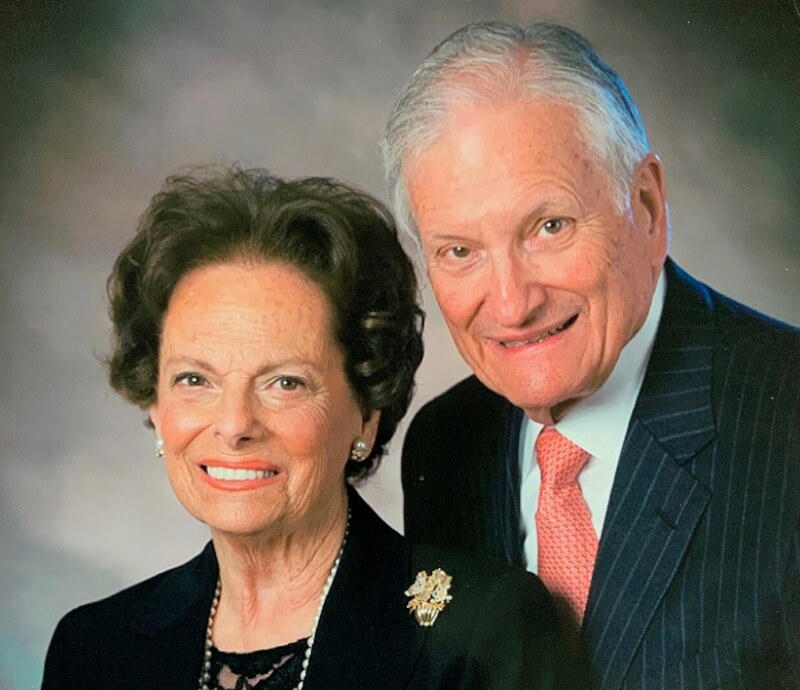 Larry started his own private pediatric practice and was active in the Department of Pediatrics at Johns Hopkins serving as the Associate Professor Emeritus in Pediatrics. He is now retired after 50 years. Larry, his father, and brother are all pediatricians. The three of them–along with a cousin–studied at Washington University. One of Larry’s granddaughters is now a resident following in her family’s long history by studying to be a pediatrician at WashU. She kept their love of medicine and WashU in the family by marrying a GastrointestinalPost-Doctoral Fellow at WashU. While Larry sustained a long and successful career as a pediatrician in Timonium, Sheila was busy raising her four children and actively volunteering in the community. She was a long time board member and highly respected leader of the Women’s Board of Johns Hopkins. Larry wanted to create this fund in memory of his beloved wife, Sheila (z”l), because they felt that a strong Jewish education was vital to having a better and deeper understanding of Jewish life.Larry has been a long time supporter and investor in KSDS being especially sympathetic to parents who were once medical students and incurred incredible debt during their training. Having worked with children for his entire career, he was always most impressed by the students who attended Schechter and felt they were a wonderful addition to the community. Sheila and Larry both felt fortunate to have come from educated parents and to honor her memory, Larry wants to ensure that others have access to our spectacular KSDS education. We are extremely grateful to the Pakula Familyfor establishing this new scholarship fund in memory ofDr. Pakula’s beloved wife, Sheila Sutland Pakula (z”l). If you are interested in joining Dr. Larry Pakula in supporting the KSDS Endowment, please contact Liz Minkin Friedman, Director of Development, at lminkinfriedman@ksds.edu or 410-824-2050.